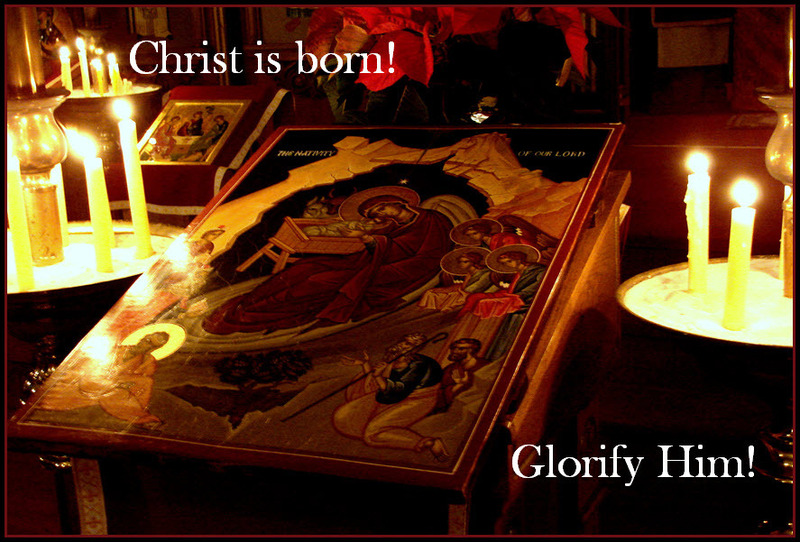 Holy Trinity Orthodox Church - Christ is Born! Glorify Him! When Christ was born in Bethlehem in Judea, he was born into a world that was in a state of confusion, bitterness, and deep sorrow. Not too much different than today, in fact. Although we are most often focused on the joyful aspect of the Feast itself, we often times forget the suffering of those in the time Christ's birth went through. Even the prophet Job asked, "where is my hope?" For communities throughout the world, and perhaps most especially those in Connecticut, the celebration of the Incarnation of Christ in the flesh, will be a bit muted this year. Perhaps more than ever, a quiet Christmas celebration is in order. But no matter how we hold ourselves, whatever thoughts we have, and how we present ourselves to God, we should take great comfort in knowing that Christ overcomes evil, and the light will always overcome darkness. We live in cycles of joy and grief; yet the final victory belongs to Christ, his destruction of death, the final enemy, through his death on the cross, and his conquering death by his Resurrection. Every layer of life must be seen in that context, because if not, we will always be separated from the one who cries out to live eternally with us. Whatever sorrow and pain we carry with us this year is replaced with the knowledge and comfort that we are called to live in communion with the Creator. May God truly fill our hearts with joy, peace, constant prayer; and may we live in constant vigil waiting for our Lord to enter once again into our broken lives.